Heads of Mission-designate from 16 countries presented their credentials to the President. On 13 May, President Jacob Zuma received Letters of Credence from Ambassadors and High Commissioners-designate at a credentials ceremony at the Sefako Makgatho Presidential Guesthouse in Pretoria. Republic of Tajikistan, Independent State of Papua New Guinea, Republic of Montenegro, Negara Brunei Darussalam, Republic of Sierra Leone, Republic of Iceland, Commonwealth of The Bahamas, Gabonese Republic, Republic of Italy, Republic of Namibia, Republic of Iraq, Republic of Haiti, Kingdom of Thailand, Republic of Chad, Apostolic Nunciature and the Slovak Republic. South Africa and Uganda enjoy cordial bilateral relations that were cemented during South Africa’s liberation struggle period. Over the years, relations between the two countries have continued to grow, with over 20 signed bilateral agreements in place. On 12 May, President Jacob Zuma attended the inauguration of President Yoweri Kaguta Museveni of the Republic of Uganda in Kampala. At an economical level, there are approximately 70 South African companies currently operating in Uganda. In 2015, South African exports to Uganda amounted to R1,7 billion while South African imports totalled R98 million. 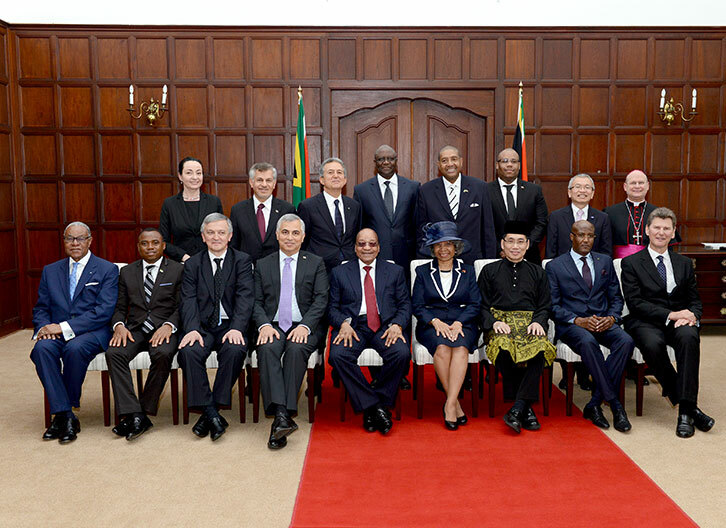 President Zuma was accompanied by the Minister of International Relations and Cooperation, Maite Nkoana-Mashabane. The Government of the Republic of South Africa joined the international community in condemning the attack against a government minivan in the Helwan district of Cairo on Sunday, 8 May 2016, in which eight Egyptian policemen were killed. The Islamic State terrorist group claimed responsibility for the attack. The Government of South Africa conveyed its deepest condolences to the Government of the Arab Republic of Egypt, as well as to families of the deceased. To this end, the South African Government wishes to reiterate its commitment to the international initiatives aimed at fighting the scourge of terrorism and violent extremism. President Zuma conveyed his best wishes to President Teodoro Obiang Nguema Mbasogo and also expressed his hope that he would use his re-election to continue working for the security, well-being and prosperity of all the people of the Republic of Equatorial Guinea. President Jacob Zuma has, on behalf of the Government and the people of South Africa, congratulated President Obiang Nguema Mbasogo for winning the presidential election that was held on 24 April 2016. 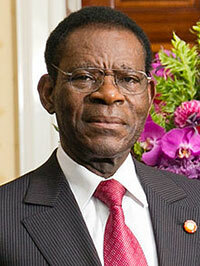 President Zuma also congratulated the people of the Republic of Equatorial Guinea for conducting a peaceful election. 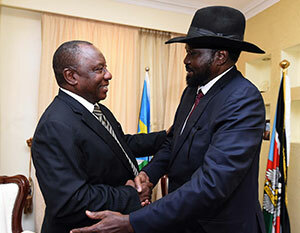 The Working Visit by Deputy President Cyril Ramaphosa was part of efforts to consolidate unity within the ranks of the ruling Sudanese Peoples Liberation Movement (SPLM) with a view to sustain lasting peace and stability and to lay a basis for the post-conflict reconstruction and development for the benefit of the people of South Sudan. On Monday, 16 May, Deputy President Ramaphosa arrived in Juba, South Sudan, on a Working Visit. Deputy President is the Special Envoy of President Jacob Zuma to the country. Deputy President Ramaphosa also met with South Sudanese President Salva Kiir, and First Vice President Riek Machar and received courtesy calls from Vice President Dr Wani Igga, and Ministers Deng Alor Kuol and Jemma Kumba. Deputy President Ramaphosa, working alongside the Secretary-General of Tanzania’s ruling party, Abdulrahman Kinana, has worked tirelessly for the restoration of unity of purpose within the ranks of the SPLM as a precursor to the creation of peace and stability in the country and formation of the unity government in Juba. The team, led by Deputy President Cyril Ramaphosa and comprising government and business leaders, attended the three-day forum, which focused on long-term investing; infrastructure and development; food security and agriculture; and the future of the Internet. Team South Africa has concluded their participation in the 26th World Economic Forum (WEF) for Africa in Kigali, Rwanda. 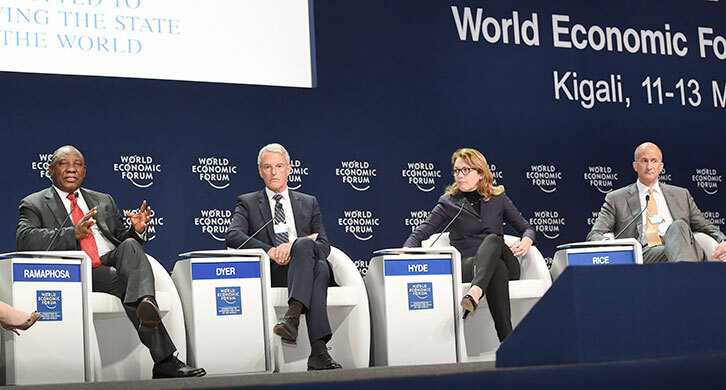 The forum was held under the theme "Connecting Africa's Resources through Digital Transformation”. Team SA used WEF Africa 2016 to promote South Africa as being open to business. They also assured potential investors that South Africa remained a preferred investment destination and communicated the positive message that the country’s macro-economic environment remained resilient, with a dynamic and stable economy underpinned by solid economic fundamentals, The Presidency said. Addressing a media conference at the end of the forum, Deputy President Ramaphosa said the deliberations had proved that Africa was on the move, and had enabled South Africa's private and public sectors to form useful relationships regionally and internationally. Cabinet held its recent meeting on 11 May. Cabinet noted the approval of the merger of three bottling plants to form the continent's largest bottling plant, Coca-Cola Beverages Africa. Cabinet welcomed the agreement on public interest conditions for the merger between government and the Coca-Cola Beverages Africa merger parties that can support efforts for greater industrialisation in the South African economy. The agreement safeguards aggregate employment levels in the company for a period of three years, protects workers in the bargaining unit from merger-related retrenchments, supports localisation of the supply chain and commits to develop historically disadvantaged farmers and suppliers to the company. Furthermore, R400 million has been committed to fund enterprise development in the agricultural value chain and another R400 million incremental investment to develop downstream distribution and retail capabilities with associated skills development and training. The iconic Appletiser brand will continue to be produced in South Africa. Cabinet noted the launch of the Mpact Polymers R350-million bottle-to-bottle plant in partnership with Coca-Cola. This initiative is in response to the Government's legal framework working through the Environmental Affairs' National Waste Management Strategy goal to promote recycling enterprises. The plant is a first of its kind on the African continent, diverting 29 000 tonnes (polyethylene terephthalate) PET waste bottles with an estimated saving of 186 000 cubic metres of landfill space and will contribute to the reduction of carbon dioxide (CO2) emissions of approximately 53 000 tonnes per annum. The Industrial Development Corporation provided a R210-million loan facility as well as R30 million for its 21% equity stake and the Department of Trade and Industry granted a section 12(I) tax incentive. The recycling plant provides jobs to 80 employees and 1 000 jobs to waste collectors. Cabinet was briefed on the outcomes of the World Radiocommunications Conference (WRC-15), which was held from 2 to 27 November 2015 in Geneva, Switzerland. South Africa led the Africa Group negotiations that led to the region securing additional spectrum for mobile broadband and Africa managed to protect the lower UHF spectrum for digital terrestrial television. More spectrum allocations were made for maritime, aeronautical and space services. The National Radio Frequency Plan (NRFP) will be updated to reflect the decisions of the WRC-15, which come into force on 1 January 2017. The allocation of spectrum within the NRFP will facilitate assignment plans for the different services which are critical to achieving economic, cultural and social benefits through the use of spectrum as a natural resource. In supporting the National Development Plan goals, the spectrum will be used for national broadband roll-out, digital terrestrial television, satellite communications, public protection and disaster relief, as well as other services. Cabinet was briefed on the decisions taken by the Assembly of the African Union (AU) Heads of State and Government in Johannesburg in June 2015 to revise the assessed annual contributions by member states from 2016, in order to enhance its ability to carry out its programmes. Cabinet approved implementation of South Africa’s new assessed contribution to the AU in line with the Assembly Decision of a new Scale of Assessment. This is based on the principle of solidarity, equitable payment as well as capacity to pay, in a manner that ensures that no single country bears a disproportionate share of the budget. Cabinet encourages people to participate in the Africa Month multidisciplinary programme that involves different generations and genres under the theme “Building a Better Africa and a Better World”. All activities emphasise the centrality of local communities and comprise various disciplines, including music, poetry, dance, film, cuisine, fashion, craft and design, intellectual engagements and some collaborative work from South African artists and their counterparts on the continent and the Diaspora. Cabinet congratulates the South African team of learners (Liam Baker, Dylan Nelson, SangEun Lee, Ralph McDougall, Timothy Schlesinger, Hannah Clayton, Rauseenah Upadhey, and Mpho Nkwana) for winning the 24th Pan-African Mathematics Olympiad in Senegal. Lee, 17, was also crowned African Queen of Mathematics in the competition for girls for the second successive year. The visit is aimed at strengthening political and economic relations between the Republic of South Africa and Syria, Lebanon and Jordan. The Deputy Minister of International Relations and Cooperation, Nomaindiya Mfeketo, is leading a South African delegation on an Official Visit to three Levant countries. The visit is scheduled for 13 to 21 May 2016. Deputy Minister Mfeketo is engaging with the governments and business sector representatives with a view to promoting South Africa as a destination for trade, investment and tourism. The visit also gives South Africa and the three countries an opportunity to identify and strengthen areas of potential economic cooperation. Deputy Minister Mfeketo will further update her counterparts on political developments on the African continent while also conveying South Africa’s position on developments in the Middle East region. Relations between South Africa and Gabon are sound and the visit aimed to further strengthen and expand the partnership. 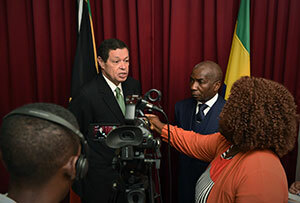 The Deputy Minister of International Relations and Cooperation, Luwellyn Landers, undertook a visit to the Republic of Gabon from 12 to 13 May 2016. The visit was aimed at strengthening bilateral political and economic relations. The visit also provided an opportunity for the exchange of views on regional, continental and international issues of mutual concern. Bilateral economic relations between South Africa and Gabon are steadily growing, with total trade in 2015 just over R630 million. South African exports to Gabon totalled approximately R520 million. The Southern African Development Community's (SADC) collective efforts and partnerships are important in realising the sustainable development goals and there has to be continuous engagements to tackle the issues around poverty and regional food insecurity. The Minister of Agriculture, Forestry and Fisheries, Senzeni Zokwana, visited Gaborone, Botswana, on Monday, May 2016, where he attended the SADC Ministerial Workshop that dealt with issues of food security and poverty eradication in the region. The Ministerial Workshop focused on responding to the problems of poverty, hunger and malnutrition in the SADC region. Another important aspect of the workshop focused on the long- and short-term strategic actions that could be utilised to promote food and nutritional security for all. The Minister of Trade and Industry, Rob Davies, recently launched the eighth iteration of the Industrial Policy Action Plan (IPAP), which he says is a continuous action plan that is meant to reindustrialise the South African economy and stresses the need for structural change. “IPAP 2016 again stresses the pressing need for structural change in the economy. It underlines the point that if South Africa was unable to optimise the opportunity to effect structural changes that the commodity boom provided, then doing so now is an even tougher ask,” Minister Davies said. He further added that the severe and negative domestic impact of the global recession and ensuing commodity slump only served to underline the urgency for structural change and that the challenges now had to be met under much more adverse circumstances. These circumstances include very tight fiscal conditions which constrain the extent to which support for the manufacturing sector can be leveraged. Government and society, he said, had moved beyond debate about whether or not an industrial policy was needed. The question, he said, was rather in which way could South Africa achieve a higher impact industrial policy and could the country achieve stronger policy coherence and programme alignment across government departments and agencies. This year’s IPAP sets out certain new themes to focus the work over the next year and into the outer years, all aligned to the Medium Term Expenditure Framework. The IPAP will focus on the implementation of the Black Industrialists Programme, as well as more carefully targeted industrial financing and incentive support. The BIDC is a first of its kind in South Africa and it aims to support small, medium and micro enterprises (SMMEs) involved in bio-manufacturing in meeting their customer needs within short timeframes and to be able to exploit market opportunities. The Minister of Science and Technology, Naledi Pandor, recently opened a bio-manufacturing centre in Pretoria at the Council for Scientific and Industrial Research (CSIR). The BIDC’s support for SMMEs is through the development of bio-based manufacturing processes and products. Companies that are incubated at the BIDC have access to ready-to-use bio-manufacturing facilities, support in research and development laboratories as well as access to experts in the fields of agroprocessing and bio-processing product development and scale-up. Funded through the Department of Science and Technology’s Industrial Innovation Partnership Programme and the Jobs Fund Programme, the BIDC is a hub for innovation in bio-manufacturing sector. Speaking at the launch of the centre, Minister Pandor said the local manufacturing sector had been slow to adopt innovative manufacturing technologies leading to limited value addition to raw materials and a steady increase in the country’s trade deficit. “The key strategic focus is to provide an environment for the reindustrialisation of South Africa through the diversification of the economy. The BIDC therefore contributes to the development of new, innovative products and new industrial value chains which revitalise the local industry, stimulate export markets and increase local competitiveness,” said Minister Pandor. The BIDC has enabled the CSIR to develop unique insights into the potential of the bio-economy and bio-manufacturing sector. The initial phase will result in the creation of permanent and temporary jobs while the economic impact is projected at about R250 million per annum within the next five years. Currently, the BIDC is supporting 19 enterprises of which 16 are owned by black entrepreneurs, including 10 black women-owned enterprises. “To date, 33 products with applications in the cosmetics, nutrition and biotechnology industries have been developed and transferred to the enterprises. The programme has resulted in 105 permanent jobs being created, the majority of which are within the enterprises and their value chains, while an additional 165 temporary jobs have also been created. At least 54 interns have received training in the BIDC vocational learning programme in order to provide the biomanufacturing sector with a skilled workforce,” said BIDC Manager, Dr Dusty Gardiner. 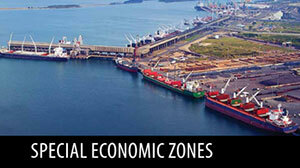 The main purpose of the seminar was for South African participants to present to potential investors and finance institutions opportunities that the country’s special economic zones (SEZs) and industrial development zones (IDZs) present as well as the incentives that are offered to investors in the zones. The Department of Trade and Industry led a group of chief executive officers of existing IDZs and agencies hosting project teams for the proposed SEZs to China to attend an Investment Seminar on the SEZs in Beijing from 12 to 13 May 2016. According to the Minister of Trade and Industry, Rob Davies, the visit to China by the group was part of the department’s efforts to derive value from South Africa’s cooperation with China on SEZs. Last month, a group of 20 government officials left for Tianjin, China, to participate in a capacity-building programme on the SEZs. “In addition, the visit serves as the implementation of the undertakings of the Comprehensive Strategic Partnership Agreement signed between the two countries in China in 2011, and also the Forum on China-Africa Cooperation Summit in Johannesburg in 2015. China agreed to support South Africa and Africa’s initiatives of industrialisation and beneficiation,” says Minister Davies. South Africa and China have committed to strengthening cooperation in the area of information and communications technology (ICT) and cyberspace. “We need to find ways of analysing data to help us improve the protection of the vulnerable people online, focusing on women and the youth,” Telecommunications and Postal Services Deputy Minister Prof. Hlengiwe Mkhize said. Deputy Minister Mkhize and the Vice Minister of Cyber Space Administration of the People’s Republic of China, Wang Xiujun, recently concluded a successful South Africa-China Internet Roundtable in Durban. The roundtable took the form of a series of public meetings between the delegations where they explored possible areas of cooperation and partnerships. The meeting covered topics that included e-government and cyber security. Opportunities to incubate ICT small, medium and micro enterprises were also explored. “We would like to encourage cooperation between Chinese and South African enterprises to push forward the digital development to benefit the people of both countries,” Xiujun said. The deputy ministers witnessed the signing ceremony between the South African Mustek Limited Group and the Chinese Yangtze Optical Fibre and Cable Joint Stock Limited Group. The two companies are establishing a cable trading company that is based in Johannesburg called Yangtze Optics Africa Holdings. Rand Merchant Bank and Standard Bank are competing for top honours in the 2016 African Banker Awards, which is now in its 10th year. The 2016 Banker Awards shortlist was announced recently and sees Rand Merchant Bank dominating the investment banking and deal entries, while Standard Bank is another strong performer. The winners will be revealed at an awards ceremony during the African Development Bank annual meetings in Lusaka, Zambia, on 25 May. "We are thrilled that the African Banker Awards are celebrating their 10th anniversary this year,” said Omar Ben Yedder, publisher of African Banker, which is a quarterly magazine dedicated to banking and finance in Africa. “We introduced these awards as a way of recognising the enormous potential of the African banking and financial services sector. Since then, many of our financial institutions have transformed and are well established to compete with the best in class,” he said. “During this period, corporate and retail banks, along with private equity and investment firms and insurance providers have withstood the effects of the global financial crisis, emerging stronger and fit for purpose." The awards are open to all African financial institutions, including banks, micro-financiers, investment banks, development finance institutions and other financial services institutions. The conference is famously known for hosting the world's who's who in large dam construction, which is one of its main objectives. South Africa is hosting the 84th version of the International Commission On Large Dams (ICOLD) conference from Sunday, 15 May 2016, to Friday, 20 May 2016. The event comprising various delegates from across the globe is being held in Sandton, Johannesburg, with the Department of Water and Sanitation as the main host. The conference is held each year in one of the commission's member states. Any HIV-positive person will be able to get antiretroviral medicine irrespective of their CD4 count by September. National Treasury has allocated an extra R1 billon to finance this “universal test and treat” (UTT) programme, the Minister of Health, Aaron Motsoaledi, announced during his Budget Vote in Parliament recently. Government decided to adopt UTT after research showed that it would save money in the long term, mainly because it radically reduced the chance of an HIV-positive person passing the virus to others when they are on treatment and their viral loads are undetectable. The health department has also launched an application that anyone can download to address medicine stock-outs. About 60% of all clinics have already started to use the stock visibility system, which monitors medicine stocks. Patients who download the app and experience stockouts can simply press a button and notify Pretoria, said Motsoaledi. He added that he had started to negotiate with Roche, which produces the breast cancer medicine Herceptin, to try to reduce its price. It currently costs R500 000 for a year’s treatment. Government is also launching a three-year campaign focusing on young women, aimed at reducing HIV, teen pregnancy and gender-based violence. 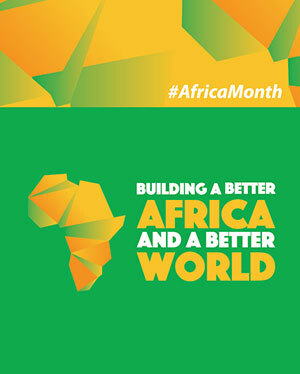 The colloquium was part of the Africa Month intensive programme that will be taking place throughout the month of May under the theme, “Building a Better Africa and a Better World”. The Minister of Arts and Culture, Nathi Mthethwa, gave the opening address during a colloquium on “Building a Better Africa: Confronting Race and Racism” at the Centre for the Book in Cape Town on Wednesday, 11 May 2016. Tabling his Budget Vote in Parliament on Tuesday, 10 May 2016, Minister Mthethwa said that the focus of the 2016 edition of Africa Month was community engagement, programming in all parts of the country and in all arts disciplines and in partnership with other sectors, culminating in a music event towards the end of the month to celebrate the cultures of the continent and in honour of those who founded the Organisation of African Unity on 25 May 1963. A panel was assembled to deliberate on issues of race and racism in an attempt to build a social cohesive society thus achieving the Africa vision of a better African continent and the world. "With the Grand Cross of Merit, we recognise Naledi Pandor's continuous efforts to deepen cooperation between our two countries," said German Ambassador to South Africa, Walter Lindner, at a ceremony last month. Germany has awarded South African Minister of Science and Technology, Naledi Pandor, with the Grand Cross of Merit. "Pandor is for us a symbol of the new South Africa: modern, innovative, dedicated to scientific progress and also outstanding female leadership," he said. The minister said she was humbled and honoured by the privilege. "In particular, I am pleased that we have been able to benefit from very strong relations with the science community from Germany," she said. According to the German Embassy in South Africa, the minister has been actively promoting the bilateral partnership between the two countries. She was key in the design and orientation of the German-South African Year of Science. "Together, we launched the 2012/13 German-South African Year of Science to celebrate the scientific collaboration and partnership between our countries," Pandor said in her speech. "During the year-long series of events, joint ventures between institutions in our countries were expanded, science and technology among the young people of German and South Africa popularised, and South Africa and Germany were promoted as key locations for strong research-based companies." Theodor Heuss, the first president of the Federal Republic of Germany, introduced the Federal Cross of Merit in 1951 to "visibly express recognition and gratitude to deserving men and women of the German people and of foreign countries", the embassy said. It is given for achievements which serve to improve the country in the political, socio-economic and intellectual fields – "an award to all those whose work contributes to the peaceful rise of the Federal Republic of Germany". Eskom has signed a 20-year power purchase agreement with French multinational electricity company Engie to start construction of the Kathu Solar Park project in Northern Cape, it has been announced. It is expected to be operational in late 2018, providing 100 MW of power. The Kathu Solar Park Project supports South Africa’s strategy of increasing the contribution of renewable power and also underlines our commitment to be a key partner in achieving sustainable energy generation in Africa,” said Bruno Bensasson, CEO of the Engie Africa Business Unit. It is estimated that 1 MW of solar photovoltaics can power about 164 homes. The consortium, led by Engie, includes a group of South African investors comprising SIOC Community Development Trust, Investec, Lereko Metier and the Public Investment Corporation. Some 1 200 jobs will be created during the construction phase. It is estimated that the Kathu Solar Park will save six million tonnes of CO2 over 20 years and will further promote local economic development through various projects such as a local community trust for the benefit of communities in the John Taolo Gaetsewe District Municipality situated in the Northern Cape and sourcing of other services from local entrepreneurs. The DST was hosting them as part of a send-off ahead of next month’s meeting, where they will meet over 30 Nobel laureates. The DST recently hosted a two-day workshop for eight young scientists who were selected to attend the 66th Lindau Nobel Laureate Meeting in Germany in June this year. The successful participants are outstanding students under the age of 35 in the field of Physics, which is the focus of this year’s meeting. They were selected after a multi-stage international selection process. Dr Luyanda Noto, a postdoctoral student in the Physical Sciences at the University of the Free State, is one of the eight young South Africans selected. He described the once-in-a-lifetime opportunity as something that could motivate other young scientists in the country to work even harder. “This is a chance for us as young scientists to learn from the best so that we can improve the calibre of scientists in South Africa,” said Noto. He said meeting with the cream of the world’s crop of outstanding scientists would boost his confidence and encourage him to emulate their example and become a future leader in South African science. Nicholas Engelbrecht (North-West University), Sphumelele Ndlovu and Adriana Marais (University of KwaZulu-Natal), Siyambonga Matshawule (University of the Western Cape), Agnes Mbonyiryivuze and Gregory Jackson (University of Cape Town), and Sidiki Zongo (University of South Africa) were also selected to attend the meeting. Speaking at the send-off, the DST’s Dr Thomas Auf Der Heyde urged the students not to forget where they were coming from, and encouraged them to be ambassadors for science in South Africa. The group will leave for the meeting in June accompanied by the Association of Science of South Africa’s CEO, Prof. Roseanne Diab, and one of South Africa’s award-winning science journalists, Sarah Wild. 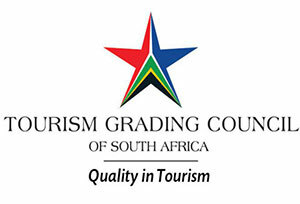 The Tourism Grading Council of South Africa has launched a new online application that allows it to scrape and assess online reviews and ratings across 15 top online platforms of the various establishments it grades. As the council prepares to upgrade its criteria after what it describes as rigorous consultation with industry, Chief Quality Assurance Officer, Darryl Erasmus, says technology is undoubtedly the biggest influencer going forward. The new application incorporates social media reviews via a custom-built platform that assesses service delivery and performance as rated by actual customers via online portals such as Bookings.com, Agoda and TripAdvisor, for example. By aggregating the reviews via a custom-built portal, it enables the grading council to maximise the data in order to raise the benchmark within the industry as it identifies actual areas of concern and that require attention and focus, says Erasmus. "Employing the new data collation technology enables the council to monitor the service levels of South Africa's hospitality industry and ensure that it is in line with what the establishment's grading actually is." According to Erasmus, this solves an area of concern raised within the industry. “We are now able to rate and grade actual products physically and monitor the actual service delivery on those standards awarded." Erasmus says the grading council is working on a mechanism to make this available to the actual properties directly. He also stressed that while the grading council was just the facilitator of the programme, which was driven by the needs and requirements of the industry, SA's hospitality industry "needs to invest in the grading" and is something that "needs to be maintained". "South African Tourism is all about enabling the international traveller to come and have authentic experiences in South Africa and the grading council is supporting this by asking what does the international traveller need, what are the standards they are accustomed to." ShowMax, the entertainment streaming service owned by South Africa’s Naspers, is now also available in 36 countries in Africa, the company said recently. 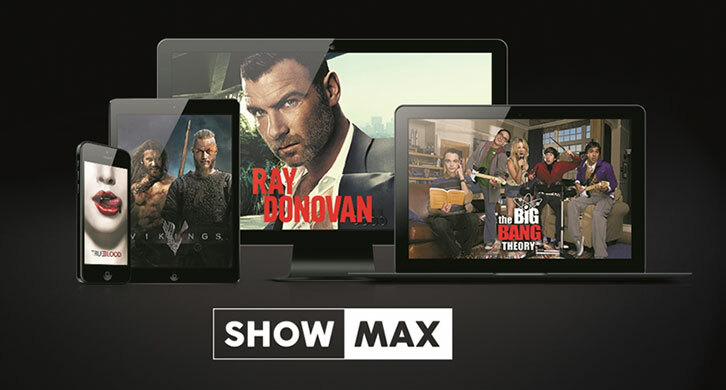 ShowMax launched in South Africa in August 2015. It beat by several months the giant Netflix’s international launch in 130 countries, South Africa included, in January. ShowMax’s platform is also used to provide Kyknet International’s Afrikaans series and movies in 28 more countries, including the United States, United Kingdom and Australia. The ShowMax expansion comes in the same week that Naspers, which also owns DStv, Takealot, Multichoice and Media24, has a 34% stake in the Chinese Internet company Tencent and recently bought social education network Brainly, and opened an office in San Francisco, the home of Google and Facebook. The 36 African countries newly added, all in sub-Saharan Africa, include Zimbabwe, Congo, Djibouti, Kenya, Tanzania, Swaziland, Cameroon, Senegal, Rwanda and Uganda. user-selectable streaming quality to limit data usage. “The other key to success is making sure you’ve got the right mix of international and local content. We’ve added Kiswahili and Nollywood shows and movies to our existing class-leading catalogue of Hollywood and British favourites,” said ShowMax’s chief product officer, Barron Ernst. Prime Circle has been confirmed for the Champions Festival at the UEFA Champions League Final 2016 in Milan, Italy. On 28 May 2016, Europe's largest football event – the UEFA Champions League Final – will take place at Milan's Stadio San Siro. Prime Circle has been invited by the UEFA to perform live at the Champions Festival, which will be held from 26 to 28 May at the Piazza del Duomo in the centre of Milan. Prime Circle will perform on 27 May at 14:00. All six of Prime Circle’s albums have reached platinum and gold award status in South Africa. The band has received 14 nominations for South African and African Awards shows and has performed over 1 500 shows in Africa, the Middle East and Europe. The new album, Let The Night In – Deluxe Edition, was released on 13 May all over Europe and in South Africa. "Prime Circle is very proud to participate in this mega-event and guarantee the football fans a top-class rock performance," says Ross Learmonth. 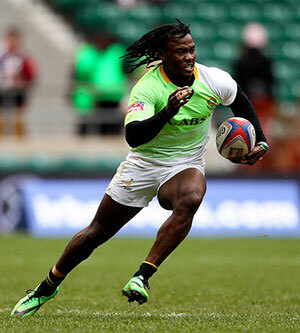 Springbok Sevens flyer Seabelo Senatla was included in the Dream Team for the past weekend’s Paris Sevens. The Blitzboks suffered disappointment when they were beaten 21-10 by eventual winners Samoa in the Cup quarter-finals on Sunday. But they rebounded to win the Plate competition, defeating Australia 17-7 in the final after earlier beating New Zealand 29-19 in the semi-finals. Following South Afirca's Plate triumph, Senatla was honoured with inclusion of the Dream Team for the event. He was picked alongside Fiji’s Jasa Veremalua and Josua Tuisova, Frenchmen Terry Bouhraoua and Virimi Vakatawa, Argentina’s Axel Muller and Samoa’s Faalemiga Selesele. The Baby Boks will kick off the 2016 international spectacle against Japan on Tuesday, 7 June at the Academy Stadium, before taking on Argentina on 11 June at the AJ Bell Stadium, and France on 15 June back at the Academy Stadium in the pool stages. Junior Springbok coach, Dawie Theron, recently named his 28-man squad that will do battle at World Rugby Under-20 Championship in Manchester, England, from 7 to 25 June. Eastern Province centre Jeremy Ward will lead the team in the showpiece, while his provincial team-mate Junior Pokomela and 2015 SA Schools captain, Western Province lock Ernst van Rhyn, have been named as vice-captains.